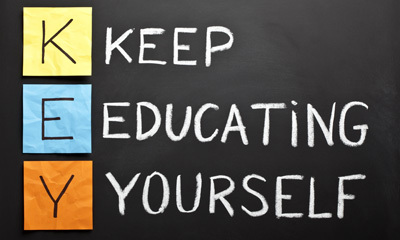 As a NCJAR member, you can take advantage of a variety of professional development and continuing education programs designed to help you advance your career. NCJAR offers a number of courses which provide the opportunity to earn nationally recognized real estate designations, such as Graduate REALTOR® Institute (GRI), Certified Residential Specialist (CRS), Certified Buyer Representative (CRB), Accredited Buyer Representative (ABR), Senior Residential Specialist (SRES), Certification programs on new technology (e-Pro), Green Core and Green Electives, diversity training, as well as other specialty areas of the profession. NCJAR maintains three onsite computer labs for hands-on training classes in a variety of topics, plus training for the multiple listing service.